Riverside, a family run business for over 50 years, has been providing happy holidays for thousands of people over the decades. They strive to make your stay with them the highlight of your year, where you can relax and unwind, where children can let off steam in safety. 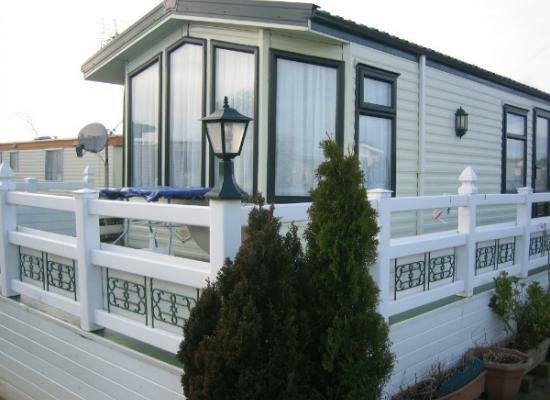 Set in 42 acres of grassland with tree lined roads, this long established, family owned park sits on the edge of the popular seaside town of Bognor Regis. The ideal base for a relaxing and fun filled family holiday. Children are well catered for, with their own Rascals Club (4-13s) with its programme of fun activities and games. A clubhouse offers entertainment for the whole family, including cabarets, discos, bingo, live music and dancing. Bognor Regis is a small seaside town on the south coast of England in the county of West Sussex. A very pleasant coastal town with many sites of historical interest nearby. The town still has it's fishermen, operating small inshore boats from the towns beaches, keeping alive the towns traditional link with the sea. The Historic City of Chichester is only 7 miles away. Visit the cities Cathedral and marvel at its splendour or enjoy a day's shopping in the city Centre. Also nearby is the wonderful City of Arundel with its Cathedral and Castle to visit. Take a nice leisurely walk along the River Arun and enjoy the scenery.